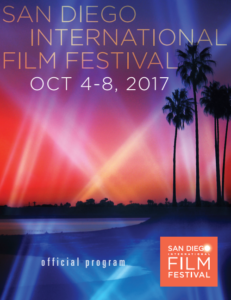 The San Diego International Film Festival returns to America's Finest City for the 16th year this week, October 4-8, with a lineup filled with star-studded events and film screenings. Produced by the San Diego Film Foundation, the five-day event will feature 100+ independent film screenings, studio premieres, panels with celebrities and industry insiders, red carpet events, parties, all-star tributes and filmmaker awards. INFORMATION: Click Here. See tomorrow's PillartoPost.org for news of San Diego's Italian Film Festival.